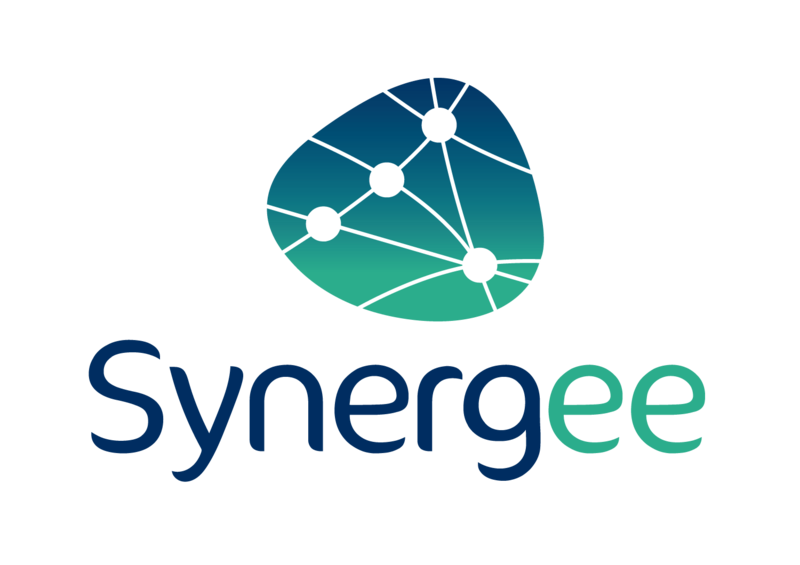 Synergee has surrounded itself with an ecosystem of business experts to offer the best possible services to its customers. Among them, we find experts according to the industry or their specialty: franchise lawyers, accounting experts for commercial networks, franchise federations, and much more! Would you like to be advised? Do not hesitate to contact us for more information! The FFF is the representative federation of the franchise which, since its creation in 1971, puts its expertise and professionalism at the service of this strategy of business development. With nearly 160 member networks selected on ethical criteria, representing 45% of French franchisees, the FFF is an essential interface between public authorities, network creators, entrepreneurs and investors. FCA is a professional organization created in 1963 to represent and promote a form of commerce in development and firmly in the era of time. It constitutes a unique place of exchange and work between actors of the Cooperative and Associated Trade. The Quebec Franchise Council brings together franchisors, franchisees and suppliers to the franchise industry in Quebec. With more than 8,000 franchisees and more than 300 franchisors, this business sector is one of the most dynamic and is an ongoing contributor to job creation in the province. Created in March 1992, the FBF has its origin in the initiative of a group of dynamic personalities, active in the world of franchising. Now with a structure consisting of a permanent secretariat and seven working committees, the FBF is well equipped to fulfill its mission: to regroup its members by associating them as closely as possible to the construction of an ever larger franchise dynamic and more balanced, as well as the reinforcement of the authentic franchise label, guarantees of quality and ethics, and therefore of credibility with public authorities, franchisors, franchisees and franchisees. Founded in 1992, Simon Associés (www.simonassocies.com) is a multi-disciplinary law firm with integrated offices in Paris, the Auvergne-Rhône-Alpes region, the Pays de Loire and Languedoc Roussillon Midi Pyrénées, as well as in several cities in France via the Simon Avocats network formed in 2014 (www.simonavocats.com). For several years, Simon Associates has been developing an international business through transnational agreements with foreign colleagues (www.simoninternational.com). This organization gives added security to the relations established in the various countries where Simon Associates is now established, notably China and the United States. Several languages ​​are commonly spoken in the Cabinet, including English, Chinese, Portuguese and Spanish, which together with French are working languages. Simon Associés intervenes in all sectors of activity with a diversified clientele of entrepreneurs, industrial or service companies, the social economy, investment funds, banks and state institutions. Simon Associates’ teams today include more than fifty lawyers and lawyers who together defend a common idea of ​​the profession oriented towards availability, responsiveness, quality of work, combativeness, and trust. La Lettre des Réseaux, launched by Simon Associés in January 2014, is a site dedicated to the legal and economic news of distribution networks. This site is managed by the “Distribution, Competition & Consumption” department of the firm, which has already been producing a paper version of this bimonthly publication for several years now. This department has ten lawyers in their fifties who work for Simon Associés, as well as a lawyer. The Letter of Networks, fueled by the contributions of the firm’s specialists and some of its partners, was created in 2007 under the name of “Lettre de la Franchise” before taking its current name in 2009. It is still circulated in paper form . He regularly informs users of upcoming events, whether they are organized by the firm or by its partners. Le Péchon Law Firm is specialized since its origin in franchise law and commercial networks. Founded by Martin LE PECHON, Lawyer at the Paris Bar and member of the College of Experts of the French Franchise Federation, the firm exclusively advises the heads of networks in the construction and optimization of their legal instruments (contract, DIP, company head of network, referencing contract …) and defends them before the judicial and arbitration courts whenever litigation is inevitable. As part of its consulting activities, the firm D, M & D assists in the legal construction of networks and their support; as part of its judicial activities, D, M & D defends the interests of the heads of networks facing crisis situations. Law firm in the service of traders and trade networks (franchisors, merchant cooperatives, branch operators). A leader in franchising – branch-trading – since 1989, FRANCHISE MANAGEMENT has supported more than 300 brands in all stages of their development, regardless of their size and sector of activity. Franchise Management is involved in the creation, optimization and recruitment of franchise professionals. The Axe Réseaux consulting firm’s franchise consultants support companies, whether they are franchisees or not, in all stages of their network development since 2011. Franchise consultants advise entrepreneurs, network managers, franchise professionals … by helping them develop their sales network and network of franchisees, while respecting the values of their company. Ax Networks is a consultancy and consulting firm on a human scale with a number of our salaried consultants allowing a better individual follow-up of customers over time and a perfect responsiveness. 600 accounting agencies spread throughout France with a department entirely dedicated to the franchise led by Eric Luc and which counts, among his team, Olga Romulus, silver ribbon of the franchise 2015. In Extenso offers franchisers and franchisees, business owners, artisans, tradesmen, professionals and association managers a complete professional service, favoring proximity, listening and pro-activity. In Extenso supports its customers at all stages of their business life (from creation to transmission) and in all areas related to the management of their business: accounting, tax, management, legal, social consulting and payroll. Aureabee offers support and financing solutions complementary to the banking offer to ensure a successful, sustainable and secure development. Their offers are intended for retailers (groups, heads of networks and franchisors), for themselves or their partners (franchisees, etc …), whatever the stage of development of the network. In 20 years, Territoires & Marketing is specialized in the world of geomarketing (prestas & software), quanti-quali market research and implementation for the world of distribution, franchising, retail and trade. Its role is to be the partner of your strategies, of your decisions in the choices of establishment of stores, in the development of your network, in the use of tools of analyzes and commercial performances, in the knowledge of your customer base, your competition and in organizing the data that enable geomarketing analysis. Laurent Kruch, President of Territoires & Marketing is a member of the College of Experts of the French Franchise Federation. HEGYD® is a company specializing in e-Business development for networks, business groups and key accounts. A strong team of twenty or so web technology and e-marketing specialists will assist you in developing your business. Because each profession has its specificities, HEGYD puts the human and the exchange at the heart of the projects in order to adapt its technological bricks to the needs of your company.